Video marketers achieve a 54% increase in brand awareness. 84% of consumers have bought something after watching a video. 97% of businesses using explainer videos say it helps consumers understand their product better. Among those surveyed, 81% saw an increase in sales and 53% said support calls were reduced. 90% of consumers watch videos on their mobile devices. By 2020 82% of all consumer web traffic will be video. Another factor driving video advertising are Google’s recent online advertising regulations. In-stream video advertising is totally Google compliant and with Chrome having the biggest browser market share, it makes sense to start to exploit this format. In order to integrate video advertising on your publisher site you need to use an ad network that supports video advertising. ExoClick has the in-stream video format that can be placed before your video content plays (pre-roll), within the video (mid-roll and custom) or after the video has played (post-roll.) The format works with all major video players and automatically plays when a user clicks on a website’s video content. It is customisable with clickable calls to action. Publishers can monetise this ad format with CPM or CPV and it has a very high conversion rate for advertisers. 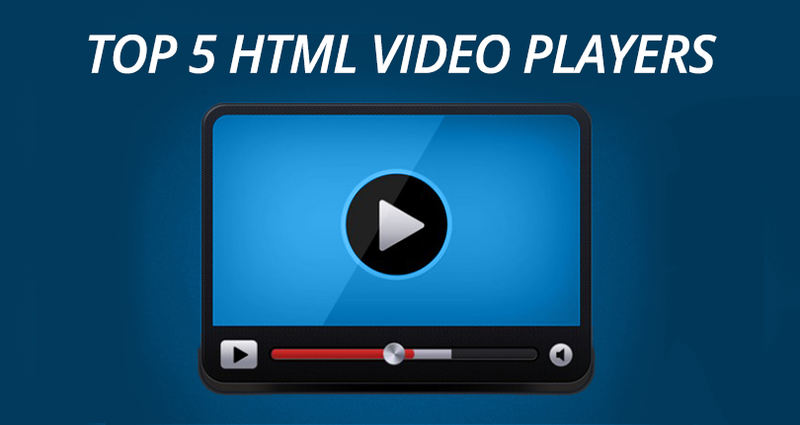 So all you need now is a great HTLM5 video player to incorporate video advertising onto your site. Here we bring you 5 of the best video players, all are fully responsive so they work across all devices. Recently upgraded to version 2, Fluid Player is easy to fully customise so it fits into the look and feel of your site. Features lots of keyboard shortcuts e.g. space bar control for ‘pause video’, can be disabled, etc. Timeline seeking allows for better control when searching through a video. You get configurable Skip Ad & CTA buttons and the player is VAST compatible. It comes with excellent documentation and lots of integration options. Supports popular ad platforms like Google IMA, as well as a variety of other networks. It’s also possible to use JW Ads, an integrated advertising solution, to integrate with almost any ad network, server or exchange. Price: To monetise your video content you will have to purchase the Enterprise version so contact JW Player for a custom price. Supports pre-roll in-stream ads and also pop up ads at any time during video playback. Video.js supports all standard HTML5 video formats; browser specific compatibility can vary based on the browser, device and version. Custom skins are supported via HTML and CSS and since it’s an open source application, it can require some tinkering and customization before it works well. Lowlight: Video.js only includes the bare necessities so you will have to find third party plug ins for added support of features. Radiant Media Player is a video player for desktop and mobile. The player’s API integrates HTML streaming services into applications. Methods include play, pause, stop, mute, set volume, resize, show captions, and toggle full screen.